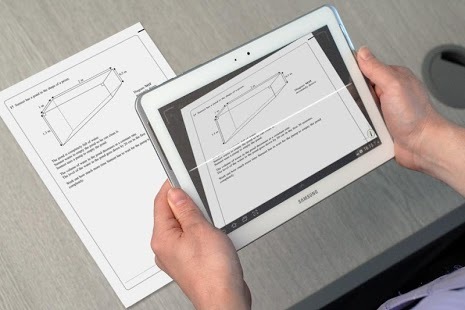 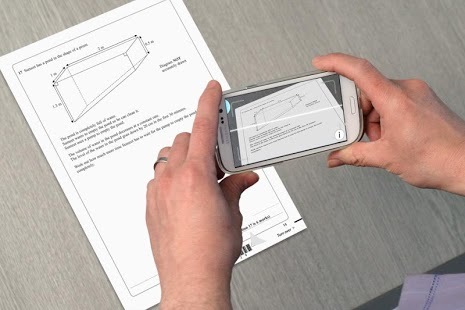 GCSE Maths Revision support through a smartphone or tablet becomes a reality with Teach-AR. Just point your mobile device at the 2013 Edexcel Higher Tier Maths papers and enjoy the benefits of hi-tech GCSE Maths revision. 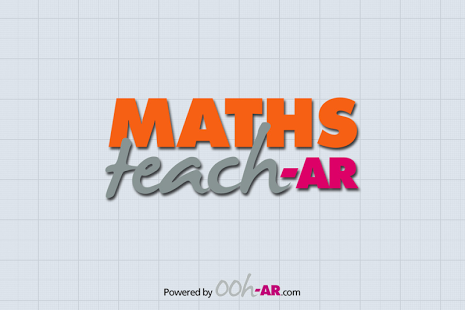 GCSE Maths Revision becomes fun and focused - you can repeat each question as many times as you like until you get how to answer them. 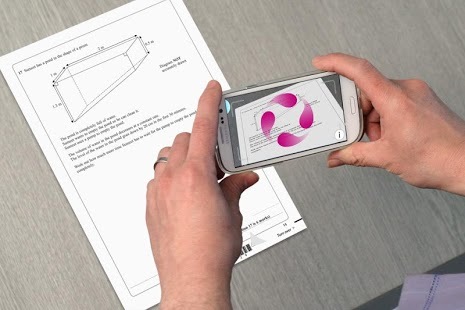 And your GSCE Maths revision through Teach-AR will be more effective as we not only show you how to answer each question, but also how to get maximum marks. 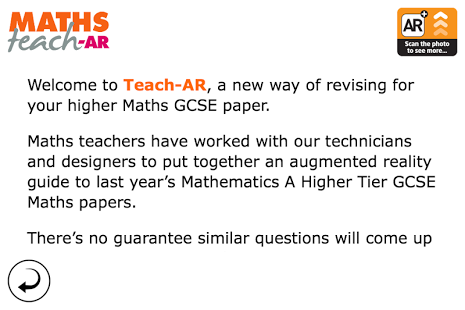 Good luck with your GCSE Maths revision, and good luck with those exams.